West End attendances have continued to show a year-on-year increase in revenues, taking some £644 million last year, with some 14.3 million people filling a record 76.7% of available seats (but showing that there is still capacity to grow further). Meanwhile, in figures published last week, regional theatres saw a new sales high of £471 million among member venues of UK Theatre. Together, that means takings of £1.12 billion, up £30 million on 2015. It is one of a bunch of new theatres set to increase the inventory of seats in the capital, including a new Nimax-operated venue near the site of the old Astoria at Tottenham Court Road. Meanwhile, Playground Theatre, in a converted bus depot in west London’s Ladbroke Grove, will open in October with a capacity of between 150 to 200, and the gay-programmed Above the Stag is set to relocate to new expanded premises, still in Vauxhall, that will mean it has both a 120-seat main house and a 60-seat studio, later this year. Beyond London, new seats keep being added, too. Earlier this year the 400-seat Broadway Theatre opened in Letchworth, Hertfordshire, in a former cinema, while in Chester the new Storyhouse has just opened in another former Odeon cinema, including an 800-seat main house, a 150-seat studio, a cinema, library and cafe bar. In Manchester, Home – born out of the city’s former Cornerhouse cinema and Library Theatre – opened in May 2015 with a target of attracting 550,000 visitors in its first year, and smashed that in its first six months. 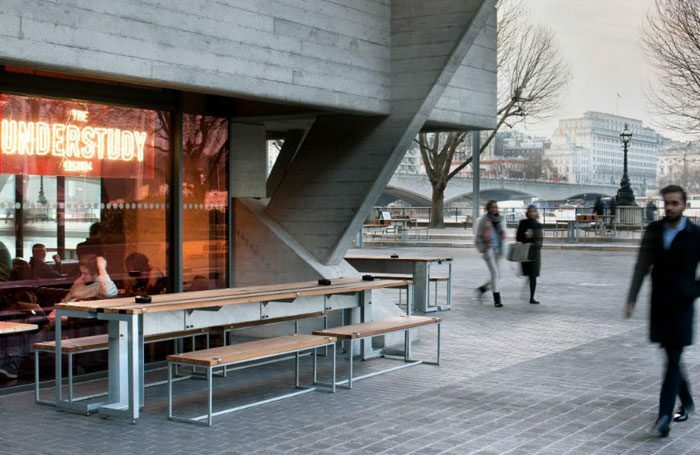 At London’s National Theatre, the riverside footfall of the bars and restaurants is now not just a lucrative profit centre but a massive part of its identity. The National Theatre belongs to us all, of course; but now it has turned into a public space, so much so that at 6pm announcements are made politely asking those who are not seeing shows to relinquish their adoptive workstations.